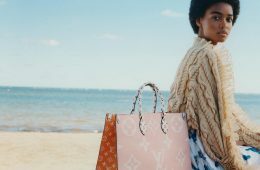 Introducing the new Louis Vuitton Tambour Horizon Campaign with Sophie Turner, Justin Theroux, Urassaya Sperbund, Liu Haoran, and Liya Kebede shop by Josh Olin. 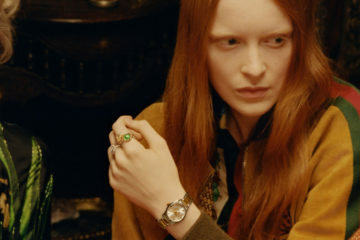 The campaign includes a short film, drawing the landscapes of time and fashions them into a round shape and symbolizing the connection all beings have with their own universe. The second version of the watch includes new design elements, colors and materials, as well as a new model in white ceramic. The Tambour Horizon watch allows you to set your imagination free and design your own watch face using many options of personalization: analogic or digital display, canvas, stripes, colors and initials. Choose an interchangeable strap from a wide range of colors and materials, and change it out quickly and easily with an additional strap to align with your own style. The new collection works perfectly with Louis Vuitton’s new wireless Horizon earphones.